Robotic Warfare – With the Engi Cruiser, have 3 drones functioning at the same time. Probably the easiest achievement of the game to obtain. Obtain three drones and activate all three of them to unlock this achievement. Repair drone and anti-drone drone work best since they only need one power. I hardly lifted a finger – With the Engi Cruiser, destroy an enemy ship using only drones. This achievement can be done pretty quickly with the Torus in sector one if you encounter AI ship with no shield. Just let the “Anti-Ship Drone I” loose and he will get the job done for you. If you’re not lucky enough to get a AI ship in the first few sectors, you can complete this achievement against a 1 shield ship in a asteroid field. According to the wiki, you can use a boarding ship on a AI ship with doors connecting to every room. Since the ship will lose 1 hull each time a system is destroy, wait destroyed systems become activated again so you boarding drone take care of them. This might take awhile but will give you this achievement too. The guns… They’ve stopped – Have 4 enemy systems or subsystems ionized at the same time while using the Engi Cruiser. This achievement can be easily complete when visiting a pulsar since system ionized by the pulsar count toward that achievement. Systems that have cool down periods such as cloaking, hacking, mind control and teleporters also count towards this achievement. So ionizing the missing system while these are recharging will get you this achievement. If you are going to to it the hard way, which is only going with weapon, the Ion Blast II cannons with a Ion Bomb or/and a Ion Blast I will get the job done to. You have to quickly switch between system while the shield are down, and you will get that achievement. The United Federation – Have six unique aliens on the Kestrel Cruiser simultaneously. I though that this would be the easiest one to get but I never manage to get more than 5 different aliens. Your human count has one and you need to get 5 other from the eight different species in the game. Engi : They can be found through event, by defeating slaver ship or paying for a slave from a slaver ship. The can be hired in shop, mostly in engi control sector/homeoworld, zoltan sector/homeworld and even in the mantis sector/homeworld. Zoltan: Like the Engi they can be found through some event like by defeating slaver ship or paying for a slave from a slaver ship. The can be hired in shop, mostly in engi control sector/homeoworld, zoltan sector/homeworld but less frequently elsewhere. Mantis: Like the Engi they can be found through some event like by defeating slaver ship or paying for a slave from a slaver ship. you can get one in some occasion if you side with the mantis crew in a event in a engi controlled/homeworld sector The can be hired in shop, mostly in engi control sector/homeoworld, mantis sector/homeworld but rarely elsewhere. Rock: They can be found too through the slaver and various event. They can be found in store too but mostly rock sector/homeworld but rarely elsewhere. Lanius: You can get one when you encounter the “do you want our translator device ” event. It’s an event in abandoned sector that usually have Lanius there. 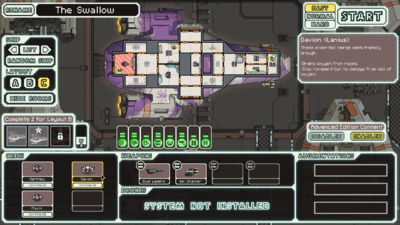 You will encounter a Lanius ship that wants to trade scrap for fuel or drone or missile. There will be an option to inquire about their translator. Once you select it they will offer you 40 scrap for the “device” the device will end up being a Lanius name translator. honestly I haven’t had the chance to find one except with that event or on the new Lanius ship or on a type C layout that sometime include Lanius crew member. However the wiki state that they can be found in store. Note that This achievement is easier to complete using the Layout B (Red-Tail), as the starting crew includes three of the six required races. Full Arsenal – Have every system and subsystem installed on the Kestrel Cruiser at one time. This was the first achievement I manage to get on this ship and probably the easiest to accomplish of the three. You simply need to have all the system installed on the ship for the standard edition or 3 out of the 5 missing system in the advance edition. The missing system are : Teleporter, Drone Control,Cloaking, Hacking, and Mind Control, costing respectively 75, 85 (or 75, depending on which free drone it comes with), 150, 80, and 75 scrap. For the standard edition you need Teleporter, Drone Control,Cloaking. The cheapest you can get this achievement in the advance edition is to get the Teleporter, Drone Control (if it 75) and Mind Control. Note your need the Battery subsystem too in the advance edition to get this achievement. Tough Little Ship – As the Kestrel Cruiser, repair back to full health when it only has 1 HP remaining. Probably one of the hardest achievement to pull off but here how you can do it. Note (from the wiki): For the game to recognize this achievement as earned, the player must have the Kestrel Cruiser down to one hull point before jumping to a store beacon, and then the ship must be fully repaired all at once. If the ship is not repaired all at once or if the Hull Repair drone is used instead of a store, the achievement will not be earned. I’ve added the note so you know that the Hull Repair drone won’t cut it and that you need to have 1 hp before going to a store. They are several way to do this achievement but you probably know that having 1 hull is never a good situation to be and the risk of receiving more that 1 hull damage while fighting might throw off you calculation to get to hull while fighting. And there always the problem that you need scrap to heal you ship full (usually 58 or 87 scrap). 1- The first way is to find a asteroid field near a store, fight any hostile ship that are there. Once they are taken care of, power down your ship shield and watch it to go down to 1 hull while you repair any system or subsystem hit. Then warp to the store and repair it full. 2- You can use a weapon that can target your ship like the fire bomb. you need to have enough missile though (around 1 per point, note you can always lets the fire propagate). When you are near a store and you have enough scrap and missile, target your ship with the bomb until your at 1 hull point then extinguish the fire and jump to the store to repair your ship. Final Fantasy Agito is a free-to-play RPG that sees you playing an elite member of a school. The game launched in the Japanese App Store just last month. This week Square Enix answered that it’s coming out worldwide on their blog. No specific date has been set, but they say the North American release is "soon" and have released a new trailer of the game. I’ve haven’t had the chance to play the game but you can check the video promo and touch arcade review. Final Fantasy Agito is a free-to-play RPG that sees you playing an elite member of a school. On weekdays you mill around and learn new skills from fellow students and teachers. On weekends you fight enormous boss battles with the entire Final Fantasy Agito community. Just like real life. The Kestrel Cruiser is the starting ship of the game. It’s a pretty well balance ship that start with very powerful weapon. The burst laser II with 3 laser will take care of the early sector and the Artemis missile will help you remove those nasty shield. The burst laser II is so good that I never had to sell it or get rid of it in all my gameplay with this ship. Starting weapons of that ship are some of the best in the game, you’ll probably will likely keep one or even both for the whole game. Burst Laser II is simply amazing, it’s only 2 power for 3 laser shot making it probably one of the best damage output for that amount of power. If you manage your way well this weapon should be to cruise through the early sector where enemy ship usually have 1 or no shield. The Artemis will help you to take out those shield, 1 power for 2 damage it’s quite good the only other missile using 1 power is the leto and it does only 1 damage. Unlock: Unlock that ship by earning two of the three Kestrel achievements. The Basic Laser isn’t really good alone but four of them can make significant damage and will be very effective for early and even mid game. They are pretty good at leveling up your crewmember weapon skill. You will need replace these lasers with better lasers or support (bombs, missiles, beams). 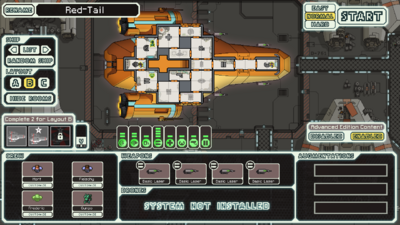 Already having a mantis might make it worthwhile to by a crew teleporter earlier than usual. I haven’t had the chance to try this ship yet but it’s hacking system combine with the ion stunner make a good combo to prevent enemies from repairing their systems specially their shield, add the hacking stun augment and they won’t repair anything. It can be use to take down the Med bay or oxygen and prevent them from repairing them. I really like its layout, the oxygen system can be drain out of oxygen surrounding it forcing them to move elsewhere. 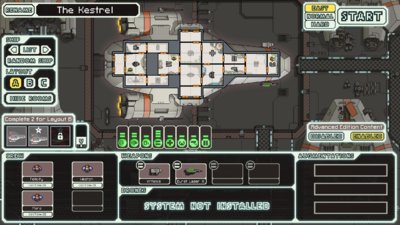 If you don’t have FTL: Faster Than Light on iPad click here and to buy it. Source : The FTL Wiki Kestrel Page, The Wiki Ship Strategies and my tear and sweat trying to unlock those damn ship. Dragon Quest VIII is by far my favorite game on the PS2 and I’m trill to see it coming back on mobile device. Hundred of hours of story, fight and grinding in a beautiful and massive world. Dragon Quest is well-known to have defined the JRPG genre so don’t be surprise by finding everything’s know from your beloved JRPG. DQ VIII battles reflect that more than anything else, the encounters are invisible and random, and the fights are turn-based. However DQVIII added an useful new thing called the tension meter, which allows you to use a character’s turn to charge up for a powerful attack. Tension actually makes this one of the easier Dragon Quest games, but you still have to remember to use buffs and debuffs to your advantage if you want you don’t want bad surprise. Unlike some the proceeding and following DQ game, there isn’t a job class system in Dragon Quest 8. Instead, when you level up, you get points that you can put towards any of five different categories. When a certain number of points are put into each category, your character will learns a new skill or ability. Skill trees should be planned for the whole party. Thin air is a great move but getting it for three character is redundant. Not getting a critical hit move on just Hero or just Yangus is perfectly fine but getting critical hit skills for neither of them can cause trouble in the postgame, especially if Angelo did not get charming look. A staves build in which Jessica can use caduceus has more value if Angelo has gone down swords which has no focus on Angelo’s healing role. Your party is a team, not a sum of individuals. 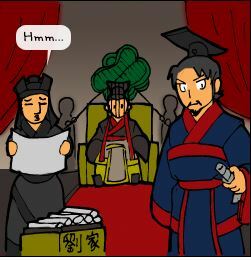 Check out this post from gamefaq for more info on skills. There much more than that, the classic casino is there, there a battle arena, a hand full of side quest and the Alchemy system to bang your head on. Dragon Quest VIII is a solid game that will take probably 70 hour & more to complete and probably 100hr + if you want to complete all the post game quest. Some might say the game is a slightly strange fit on mobile devices, specially with to lost of voice acting and the hardware limitation, but it’s definitely worth playing. I’ve talked about my love of Worms (not the one in the ground, the one in the game from Team 17) awhile ago and how DDTank poorly copied them. Our favorite invertebrates are back and this time there fighting among themselves on mobile. Another new feature is the card mode, which allows players to change the start and end of each of their turns by playing strategic cards dealt out at the beginning of the game. Rewards are collected throughout the game enabling the in-game purchase of bronze, silver or gold cards. It’s on special on the app store at the time of this writing, grab it while you can. I’ve been reviewing game from China game corporation for a while (Koram, Gamebox, Youjoy, just to name a few) So made good game, some not. But now the tide is turning, soon console will be available there and game maker will be allowed to sell game in the Chinese markets. But Chinese authority are known to put some restriction on any one trying to do business there so. Other content that violates the law. Game characters wearing bikinis or shorts are prohibited. Exposing sensitive parts of the body is not allowed. Bodily touching between men and women in games is completely prohibited.